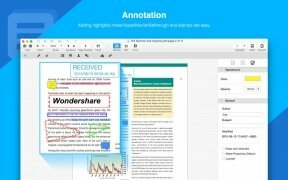 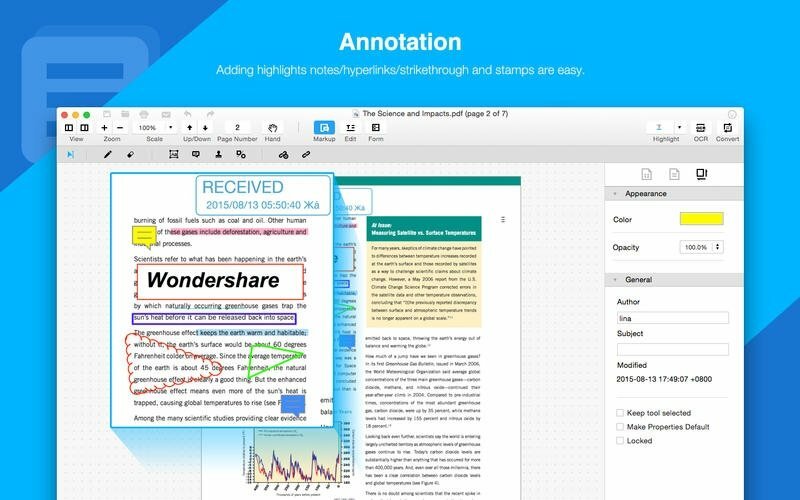 Wondershare has developed what is probably the best and most complete to tool to work with PDF files at present. 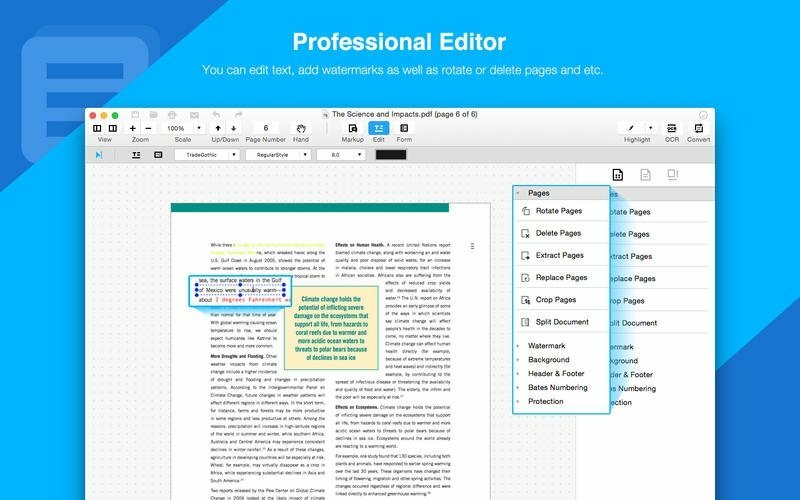 With PDFelement on your Mac you'll be able to edit, sign, convert and protect your documents in this format from an easy-to-use and intuitive interface. 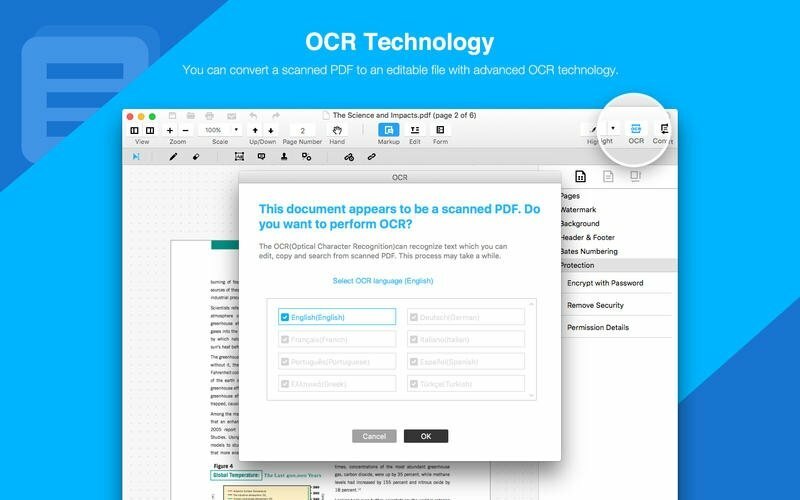 Change the way you work with PDFs. 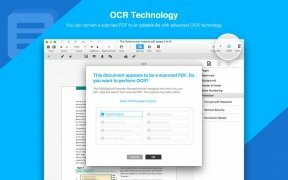 Convert PDFs by means of OCR technology: compatible with Word, Excel, PowerPoint, images and scanned documents, being able to convert individually or by batches. 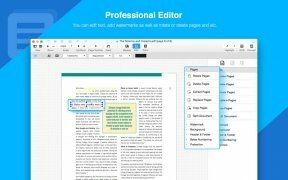 Really complete editor: modify fonts, add or delete images, insert links or bookmarks or take notes directly within any PDF file. 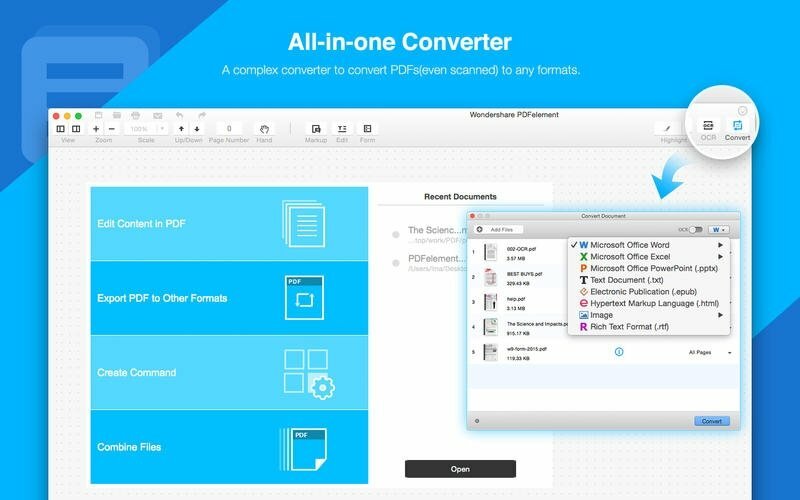 Create and combine PDFs: combine files in different formats to make up a single PDF document (more than 300 compatible formats) or put several PDFs into one. 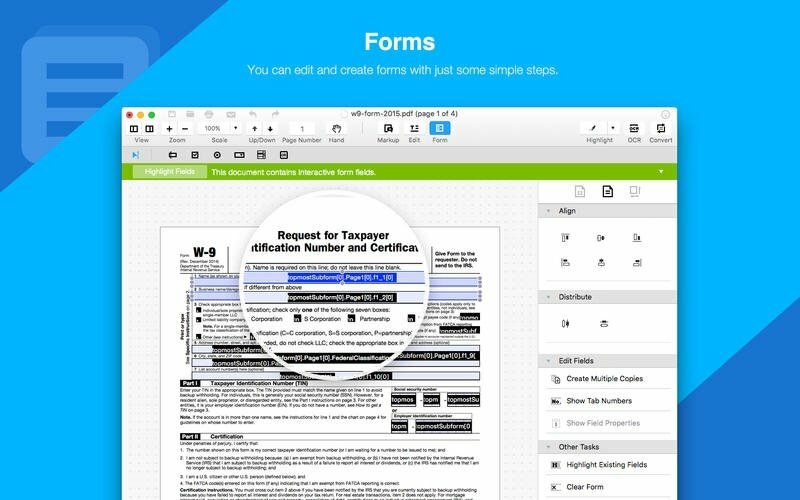 Protect PDFs: add passwords to your documents so that only authorized people con open them and modify permissions for each type of user with access. 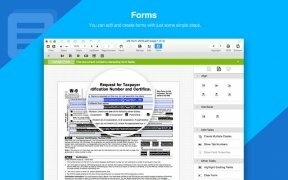 Embed watermarks and signatures: insert your digital signature or watermark into any document, as well as being able to remove original watermarks.